I'm Ted Reed, a programmer and sysadmin. I dabble in a variety of things, and this site serves as a sort of vanity site for those sorts of things. As for basic information about me: I read, code, enjoy music, movies and TV, play video and board/card games, and enjoy the use of the Oxford Comma. I also have interests in linguistics and history. The places where those two items meet is particularly fascinating to me. 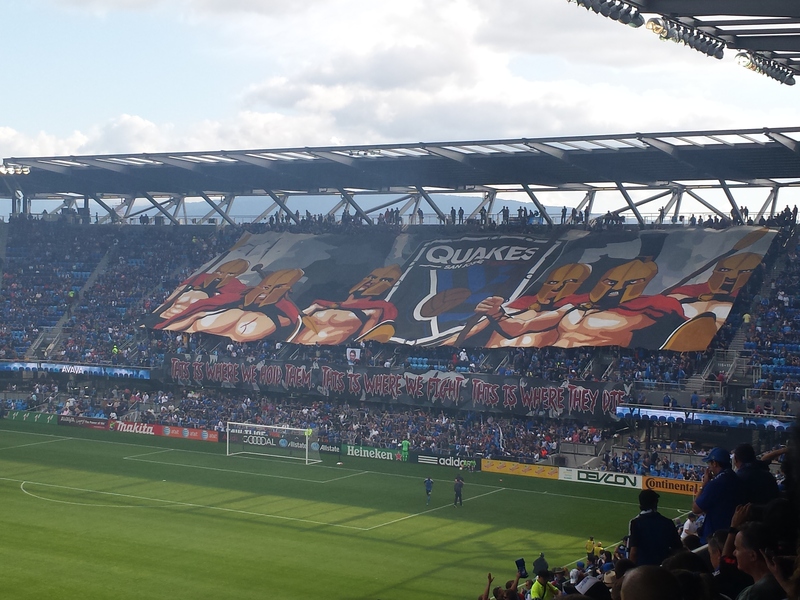 I am a huge fan of soccer, and an avid supporter (I'm one of the ones holding up the message banner, right in the middle) of the San Jose Earthquakes and the US Men's, Women's, and Youth teams. I'm originally from Southern California, an area east of Los Angeles the locals refer to as the Inland Empire. I now live in Silicon Valley, and very much prefer everything about it as compared to the IE, except the housing prices.